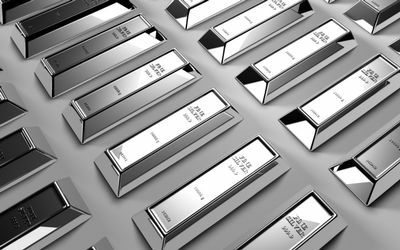 Platinum is one of the highest valued metals with price more than the double of gold. Platinum jewelry items are very expensive for the common man. However, those in possession of such items usually belong to high income groups. Many people get bored of using them again and again. One of the better ways to get rid of them would be reselling them to a reliable buyer. Unload Your Gold is an online platform to ensure high rates in exchange of platinum jewelry items. We can provide you with decent sum of money in exchange for old platinum jewelry items. The prices of gold, silver and diamonds keep on fluctuating on a consistent basis. It is almost the same with platinum which has comparatively limited number of consumers. Sometimes the prices hit record highs which may be the right opportunity to resell the old pieces. Unload Your Gold can buy your old platinum jewelry such as bracelets, necklaces, rings, earrings, antiques, brooches, pins, etc. Even if you are in possession of unusual art pieces of Victorian, Georgian, and Edwardian period, it can fetch you a high price in the market. Due to shortage in supply, platinum is highly valued all over the world. Apart from special rings and jewelry sets, it is also used in motor industry. The catalytic converters are used to clean up the exhaust fumes. It goes on to show the multiple utility of platinum which means your scrap platinum items would be priced really high. Many clients prefer selling their old platinum pieces with us to address their financial needs. With sufficient sum of money in exchange, it would be easier to deal with the crisis. Gather your platinum items now to check out their resale value with us. When it comes to selling your precious valuables, you must of sure of the buyer. We strive to meet the highest professional and ethical standards in our dealings. Our experts maintain transparency with customers willing to sell their old platinum items. We can also educate you on the processes followed by us to check the market value of such items. After a comprehensive testing procedure, we’d only buy valuable items and pay the customers with the rate they deserve. We can provide you with a fair, honest and no obligation quote. Unload Your Gold is a trusted and reliable name with a growing list of customers. Our staff personnel have been recruited after years of training in this field. Various skill development programs have sharpened their expertise to check and analyze the value of old platinum items accurately. We’d take every possible step in direction of helping you with a decent resale amount on exchange. Our experts understand how sellers may have a major reason behind selling their old but valuable platinum items. We strive to make sure the process is simple and fully transparent. As a well-known diamond buying service, we are being referred by old customers. To settle your questions or queries, you can get in touch with us as per convenience.